Receivers from Andreas Libavius, Alchymia..., 1606. 1. 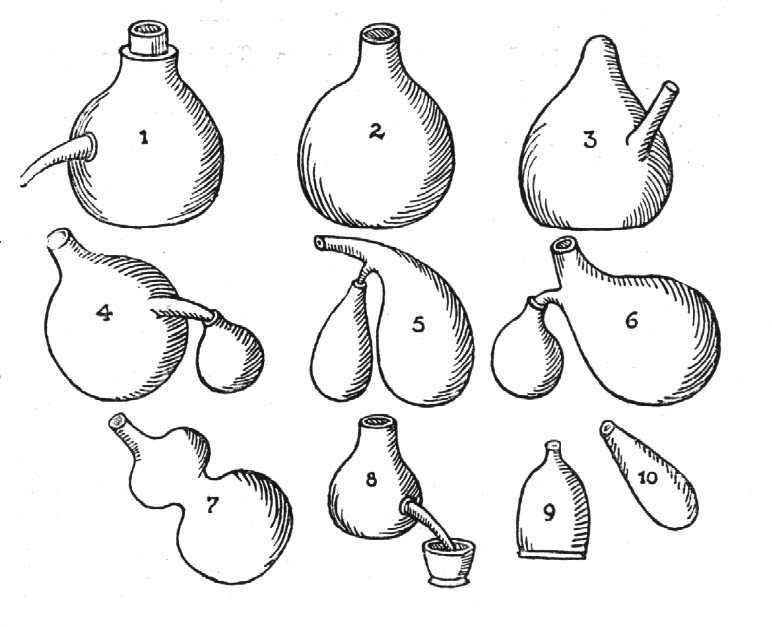 Large tubulated ampulla, of iron or pottery. 4, 5, 6. Twin receivers. 7. Receiver with two bulbs.